Help Documents - Version 5 Where do I start?How do I change the Event ID and Password? 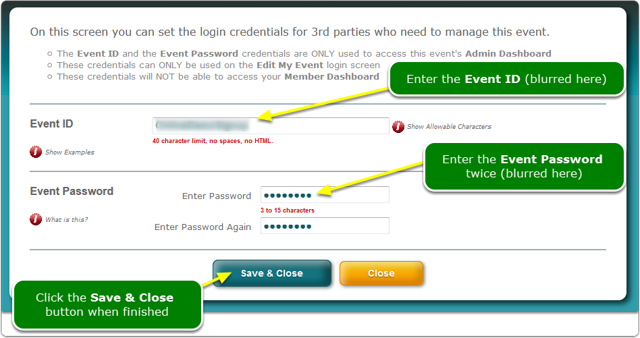 The Event ID and Password are used by your Admins to login to the Admin Dashboard; not the Member Dashboard. 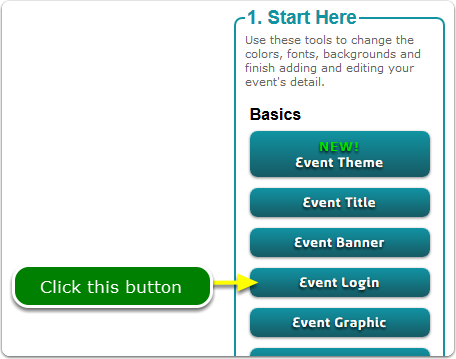 You may distribute the event ID and password to those people who are helping you run your event. 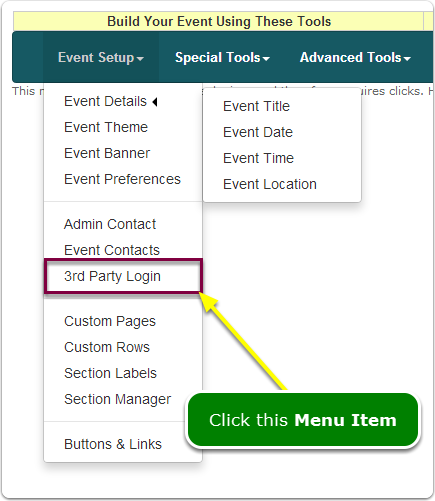 They will not be able to see other events in your Member Dashboard nor will they be able to change the Event ID and Password. Prev: How do I add my own banner? Next: How do I add an Event Graphic?